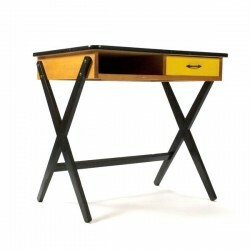 Nice small desk from the sixties. 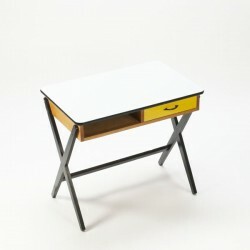 The design is attributed to Coen de Vries for Devo, we can not confirm with documentation. 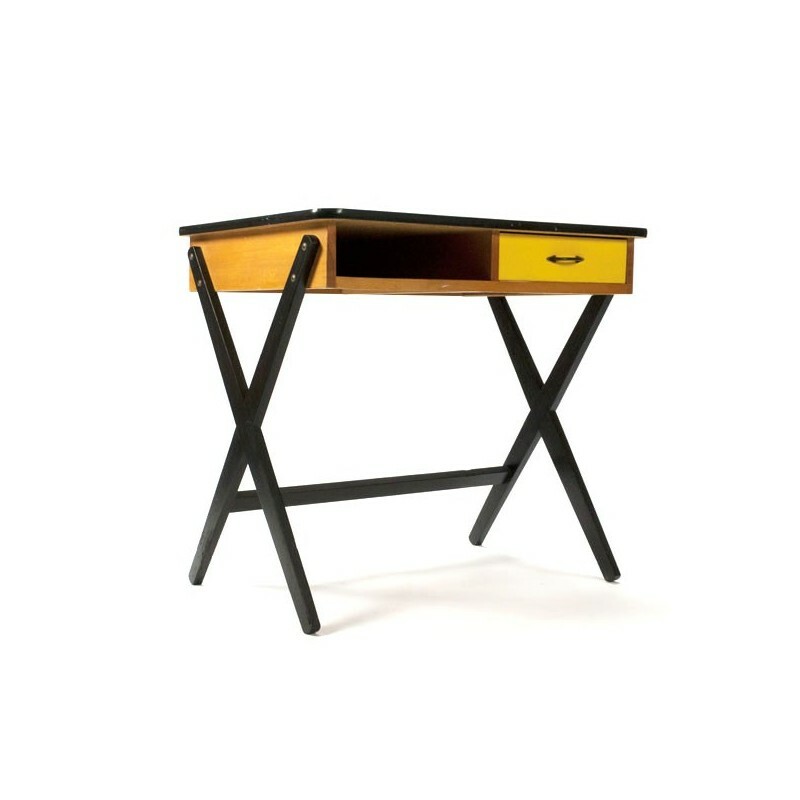 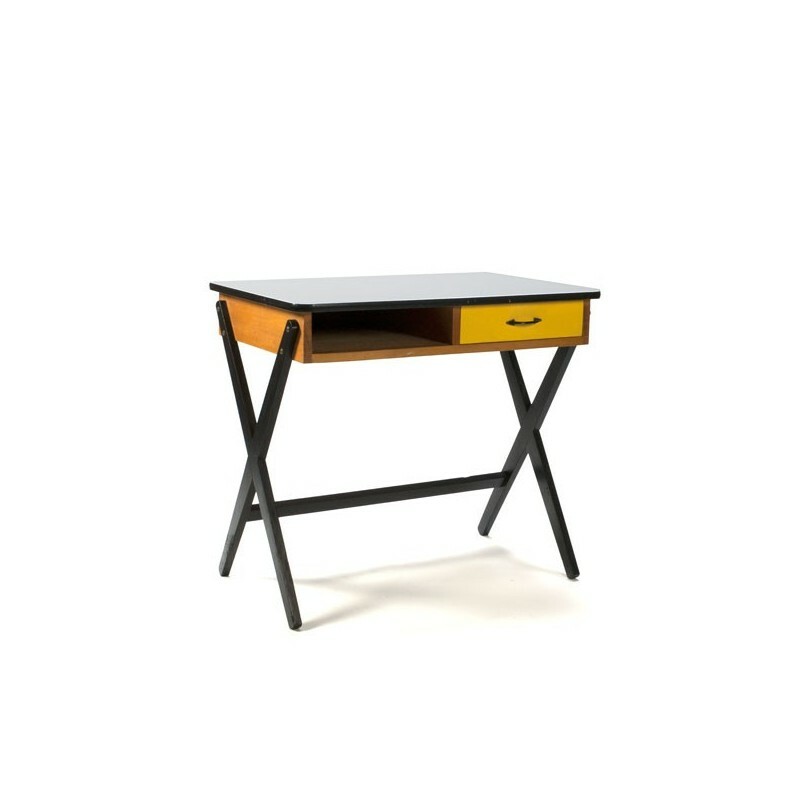 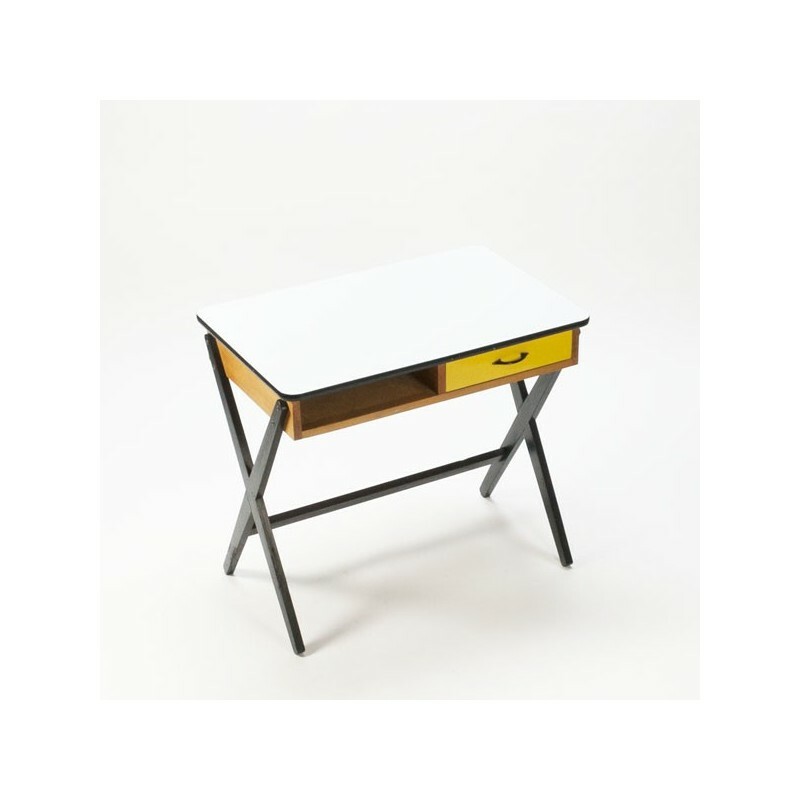 The agency has a black wooden frame, a yellow colored tray and a formica top. The condition is good, especially considering the age, and has only a few light wear (see also the detailed pictures). 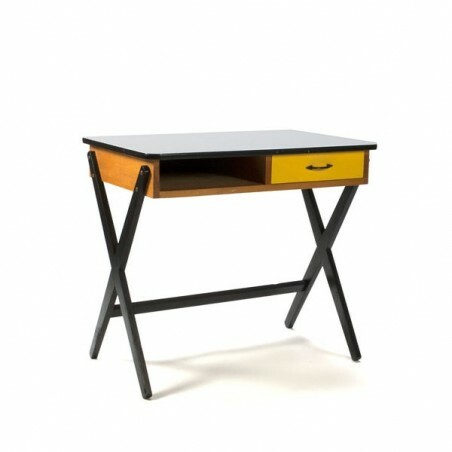 The size is 84.5 cm L / 55 cm W / 76.5 cm H.